On February 2nd, Dwight Diller, went home to be with the Lord. He spent the last several years living in Big Fork, Montana, surrounded by the mountains he loved to explore. Dwight was born September 16, 1969 in Hagerstown, Maryland and raised in Frederick, Maryland. He graduated from Salisbury State University with a degree in psychology. He went on to receive a master of rehabilitation counseling from Montana State University at Billings. 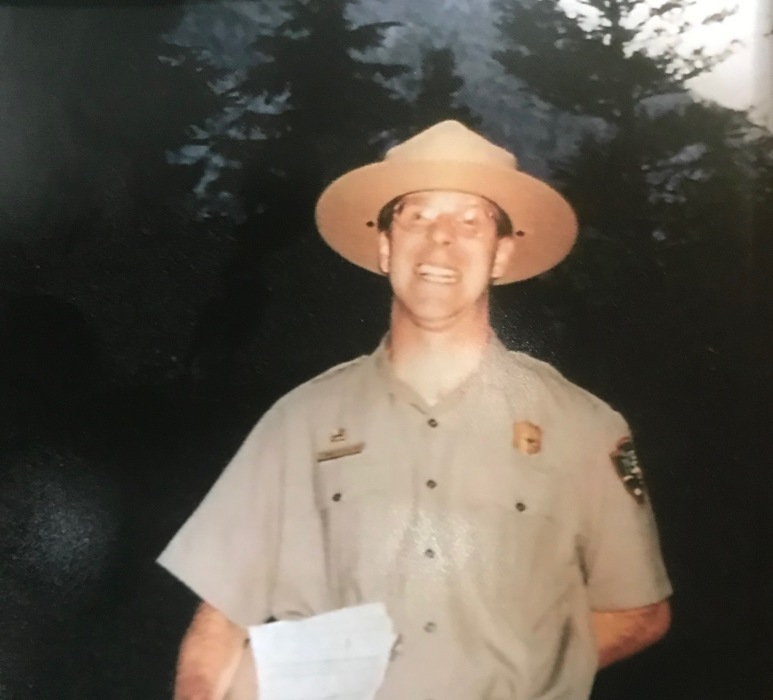 He spent two seasons as a park ranger in Glacier National Park and fell in love with that part of the country. After working for several years as a rehab counselor at Santa Fe College in Gainesville, Florida, Dwight survived a near fatal car accident in 2004. After over a year of hospitalizations and rehabilitation, the mountains of Montana were calling him back home and he relocated to Big Fork, Montana. Dwight enjoyed hiking in the mountains, snow shoeing in the winter, and watching as much baseball and football as humanly possible. He always cheered for the underdog and loved to see a good “come from behind” story. His family and friends knew him best for his sense of humor, quick wit, and generosity. Survivors include his parents, Leon and Sara Diller, brother Tommy, sister-in-law Lisa, several aunts and uncles, and many cousins. A celebration of life service will be held at 1 pm Saturday February 9, 2019 at Buffalo Hill Funeral Home.